Are you counting the days until you can say goodbye to your job forever and start enjoying your golden years? While only about half of all Americans say they're looking forward to retirement, around 18% of Americans retire before age 61, and half of all Americans quit working for good between ages 61 and 65. Some workers leave the workforce involuntarily because they lose their jobs and can't find new ones, or because poor health makes working impossible. But many others are lucky enough to have the option of retiring when they're ready, and on their own terms. Even if you can hardly wait for the day when you leave work forever, it's important to be strategic about when you retire so you don't spend your post-work life worrying about whether your money will run out. Before you let your boss know you're ready to start your life as a carefree retiree, consider these five benefits of delaying retirement a little longer. Working just one extra year can make a big difference in your retirement savings. There are two reasons why a single extra year can matter so much: more compound interest and the chance to take advantage of more tax-free savings. Once you're 50 or older, you're eligible to invest more each year in both your 401(k) and your individual retirement accounts. These extra "catch-up" contributions increase your maximum 401(k) contributions by $6,000 and your maximum IRA contribution by $1,000. This means you're allowed to invest up to $24,000 in your 401(k) and $6,500 in your IRA, for a total of $30,500 in tax-free investing. 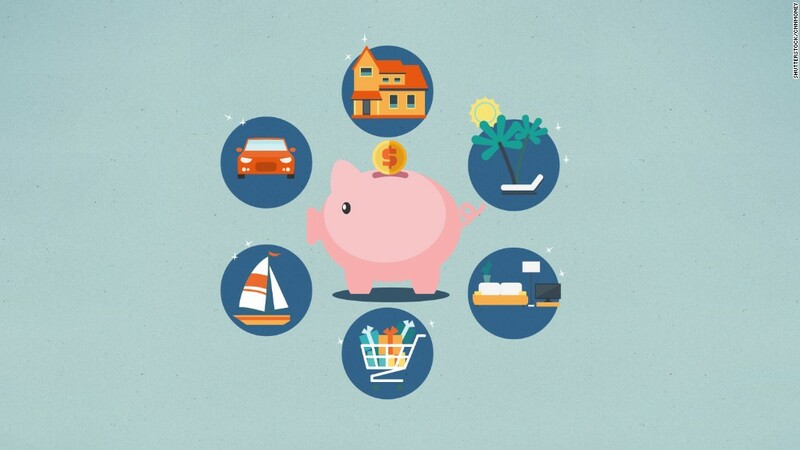 Saving longer also means another year of compound interest earned on your invested funds. If you have a $350,000 nest egg and earn 6%, you'll have another $21,000 in gains if you wait another year before retiring and starting to draw down your money -- and that's assuming you don't contribute anything during that last year. Delay for five years, and the difference is staggering: Your $350,000 savings will grow to more than $468,000. Working longer means you can wait to start taking Social Security benefits. This can boost your monthly benefit for the rest of your life. The Social Security Administration determines your "full retirement age" -- when you get 100% of the monthly benefits you've earned -- based on when you were born. If you were born between 1943 and 1954, your full retirement age is 66. If you were born after 1960, your full retirement age is 67. If you take benefits at 62 instead of waiting for your full retirement age, your benefit is reduced by around 30%. The closer you get to full retirement age, the smaller the reduction in benefits. And if you wait to take benefits until after you've reached your full retirement age, your benefits start to increase. You'll receive around 8% more in benefits for each full year you wait after you've reached your full retirement age. This means if you wait until age 70, you'll receive 132% more than you would have if you'd retired at 62. Once you reach 70, your benefits don't increase any more, so there is no reason to delay any longer. Waiting can mean a lot more money for the rest of your life. Retired workers in 2016 received an average monthly benefit of $1,360. If you are eligible for this average benefit at 66 and you wait until 70, you'd have a monthly income of $1,795 instead. Of course, you did miss out on several years of collecting benefits, but since people are living longer on average, you could well make up for those years of missed income -- and then some -- if you wait. One of the best reasons for delaying retirement is the chance to continue getting benefits through your employer. If your employer provides access to group health-insurance coverage, replicating this coverage could be expensive on the open market -- if it is even possible for you. Average monthly health-insurance premiums in 2016 totaled around $580 per person for people aged 55 to 64. Some older insurance-buyers could be eligible for subsidies from the Affordable Care Act to help pay for coverage, but the future of the ACA is uncertain, and many proposed changes to it would make insurance premiums much higher for seniors. Giving up your employer-provided healthcare benefits could cost you thousands, and you might have to switch doctors, which could be an issue if you or your spouse has any chronic health conditions. Yes, you may be able to keep your group coverage for a little while through COBRA, but without your employer subsidizing premiums, this could be prohibitively expensive on your retiree's income. Retiring could also cause you to lose other employee perks such as group disability-insurance coverage. Be sure to understand exactly what benefits you give up by leaving the workforce and comparison-shop on the open market to find out if you can replicate those benefits without breaking the bank. Traditional employer pensions, of the type where your employer guarantees income post-retirement, have become rare. These types of plans are called defined-benefit plans, because your benefit is guaranteed and not dependent upon your investment performance. Today, most employees who have a pension plan at work have a defined-contribution plan, which is a plan like a 401(k): You can make investments, but there are no guarantees of income. If you're lucky enough to be eligible for a defined-benefit plan, you may be required to work for a certain number of years to claim the full benefit. If you work longer, your benefits will typically increase. Salary * number of years of creditable service * a pension multiplier. If you retire at the minimum retirement age and don't have at least 20 years of service, your benefit could be reduced by as much as 5%. If you wait until age 62 and have at least 20 years of service, you're allowed to use a 1.1% pension multiplier rather than a 1% pension multiplier. Your pension income is higher because of both the extra year of service and the higher pension multiplier. Every employer has a different method of calculating pension income, so talk to your human-resources department to find out exactly how much more you could receive if you have a defined-benefit plan and wait to retire. Depending on the calculation used, the difference could be substantial. If the financial benefits of working longer aren't enough to convince you to keep your day job, perhaps the mental benefits will be. One study published in the Journal of Epidemiology and Community Health found that working for one additional year after age 65 was associated with an 11% lower risk of mortality, leading researchers to suggest that "prolonged working life may provide survival benefits among US adults." Research also suggests a job you don't like can still be better than no job at all. "Even disliked colleagues and a bad boss are better than social isolation because they can provide cognitive challenges that keep the mind active and healthy," according to an article published by the National Bureau of Economic Research. It is possible to keep your brain active and to maintain social connections in retirement, but it becomes a lot harder without the workplace to provide you with a ready-made source of human contact and mental challenges. Before you decide to retire, make sure your financial life is in order and that you have a plan for how to stay healthy, active, and connected to your community. If you're not quite ready yet, why not wait?